The Fundraising and Marketing manager is responsible for raising funds to support the work of Bethany Christian Trust. 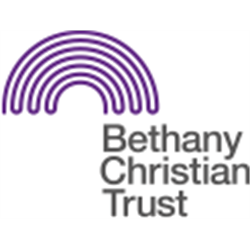 The post holder is also responsible for the branding, marketing and promotion of Bethany Christian Trust both locally and nationally to ensure appropriate support for all Bethany’s work with homeless and vulnerable people. The post holder will also be responsible for leading, managing and continuously developing the fundraising and marketing teams. •Skills, and proven experience, in the strategic development of fundraising and marketing activities. •Proven people management skills to lead the team. •Knowledge and experience of financial assessments and review of fundraising costs and income generated. You will provide specialism practice, guidance, support, direction and supervision to the Individual Giving Fundraisers and act on behalf of the Fundraising Marketing Manager where required, plan and deliver Fundraising and activities. You will oversee and develop lifetime relationships with individual donors to Bethany, focussing on major gifts and legacies. This post will develop strong relationships with Major gift donors and develop strategy for increased Philanthropic partnerships. For the past three years, Bethany Christian Trust have been delivering a community-based addiction recovery program in Scotland. As the demand for this service grows, we are looking for a candidate who will lead, develop and deliver Bethany’s Bridge to Freedom program within a group setting. A significant part of the role will also be to facilitate and develop recovery and resettlement work in partnership with churches and other organisations around the Edinburgh and Midlothian area including Moredun and Gorebridge. It is essential that you have experience in facilitating, planning and working with vulnerable people in a community setting. A qualification in Social Work, Social Care, Community Education or related discipline is essential, or a willingness to work towards such a qualification. As Bethany is a Christian organisation this post carries an Occupational Requirement in line with Equality Act 2010. Please note that one reference must be from your church minister or leader to endorse your live and active Christian faith and commitment. Successful applicants for this post will require membership of the PVG scheme.